It’s finally here: that glorious weekend we like to call Lollapalooza. Major music acts like Nine Inch Nails, The Cure, The Killers, and Mumford & Sons will all be flocking to our fair city to play for roughly 270,000 eager fans, so it’s no secret that this fest is one hot ticket. Passes sold out like lightning this year, but whether you scored a coveted three-day pass or you missed the boat on this one, you can still party like a rock star come Friday. Check out some of our picks for alternative Lolla-related fun. Fest fashion is everything at Lolla — photographers from publications like Elle and Women’s Wear Daily (not to mention, ahem, R29!) will be swarming the scene to get the best of the best street-style snaps. And if you want to make the cut, you’ve got to dress the part. Lucky for you, dana hotel + spa is teaming up with Rad + Refined to make sure that you do. Celebrity stylist Jacqueline Rezak (the brand has worked with Kristin Cavallari and Miley Cyrus) brings her edgy wares to the posh hotel this week so you can shop fest-ready brands like House of Harlow, Mara Hoffman, Lara Miller, and Brandi Cyrus (Miley’s sis!) to your heart’s content. July 30 through August 2; by appointment only. To schedule your session, email RSVP@radandrefined.com. dana hotel and spa, 660 North State Street (between Huron and Erie streets); 312-202-6000. Stand out in the massive crowds with these awesome flower headbands from Chicago fashion blogger Larz. Made with fake flowers (so they never die), Larz aims to bring a positive mental attitude to cancer patients and healthy shoppers alike with her pieces, by donating a portion of her proceeds to the Make a Wish Foundation. Did we mention that they’re pretty darn adorable? Get yours here. 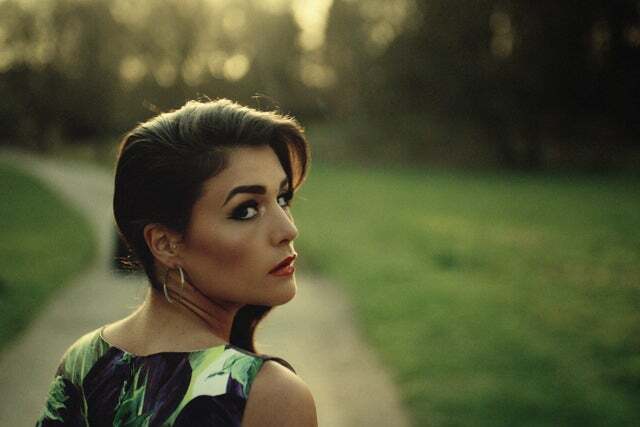 Lolla artist Jessie Ware (pictured) takes the stage before the fest even starts this Thursday at W Chicago Lake Shore. Performing songs from her album Devotion, this British songstress blends R&B with British electronica for a unique sound not found in the States. Catch her live at the hotel’s private event (complete with open premium bar!) as part of its “Symmetry Live” series. RSVP symmetry@jklspr.com. W Chicago Lake Shore, 644 North Lake Shore Drive (between Erie and Ontario streets); 312-943-9200. After-parties have been popping up all over the city, but our money’s on the House of Blues after-show with Local Natives and Supreme Cuts. Both bands are on the Lolla docket (Hound Mouth performs Saturday at 4 p.m.; Supreme Cuts performs Saturday at 7:45 p.m.), but the enclosed space allows for a much more intimate concert than you’ll find at the fest, and tickets are a steal at just $36.55. Check out the full list of after-parties here. House of Blues, 329 North Dearborn Street (between Kinzie and Wacker streets); 312-923-2000. Fresh off its brand-new renovation, The Underground joins in on the madness surrounding Lollapalooza with an event lineup that will blow your mind. Get the party started on Thursday with a grand-opening party, then check out the bar’s first “First Friday” (complete with electric set by DJ Irie and special post-Lolla guests) or head to sister property Rockit Bar & Grill (22 West Hubbard Street) for “The Party of All After Parties” (hosted by Danny Masterson with performances by Smith Westerners). Samantha Ronson takes the turntables Saturday for a Gilt Groupe-hosted affair, and DJ Cobra takes over on Sunday. The Underground, 56 West Illinois Street (at North Dearborn Parkway); 312-644-7600.